For the most memorable occasion of your life, we offer scrumptious, delicious, hand-dipped, edible chocolates packaged in exquisite wedding favor designs to enhance the beauty of your incredible wedding! We also offer delicious carmel corn wedding favors available in 4 flavors! Each label is personalized with your names and wedding date. Your wedding celebration deserves an eloquent expression that distinguishes it from all the rest and makes it uniquely your own! We carry delicious Coffee Wedding Favors, Cocoa Wedding Favors, Cappuccino Wedding Favors and Tea Wedding Favors! Our wedding favors are personalized with the first names of the Bride and Groom and Wedding Date! These wedding favors are great for your guests at your Wedding or Bridal Shower and will enhance the place setting at a wedding reception! 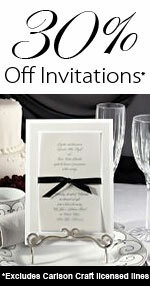 This is a great way of saying thank you to your guests for sharing in your special day! These personalized teabags make great bridal shower favors for a tea party themed shower! Check out other Wedding Favors, Personalized Wedding Favors, Wedding Candles, Beach Wedding Favors and Bridal Accessories.